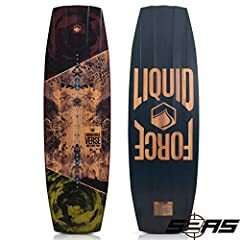 The 2018 Liquid Force Verse Wakeboard is a boat board that cuts ultra fast. This board is super versatile and features a lightweight wood core and a durable ABS sidewall. This board is springy and forgiving.